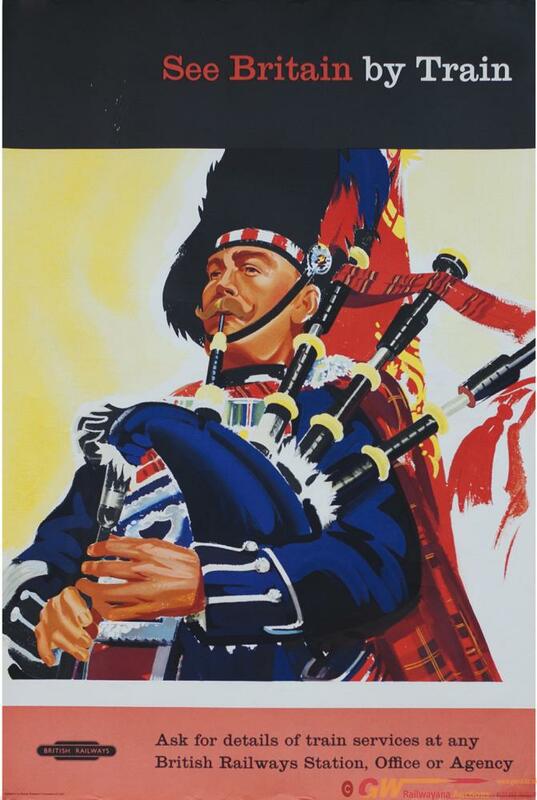 Poster BR SEE BRITAIN BY TRAIN with image of Scottish Piper. Double Crown 20in x 30in. Published by The British Transport Commission. In very good condition.